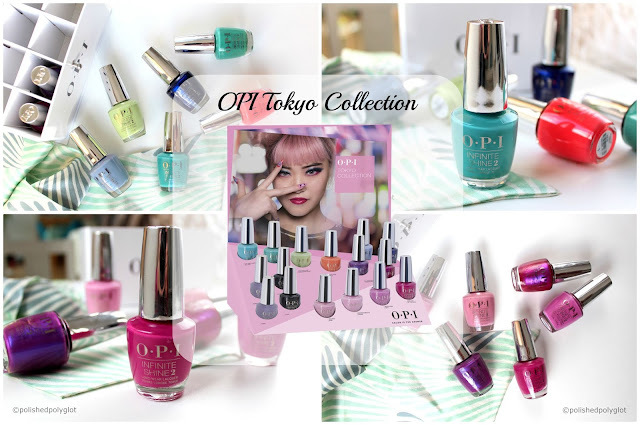 I am super excited because I have the OPI Lisbon Collection* for Spring/Summer 2018 swatches to share with you!! This gorgeous collection will be released on the 16th February and will be available for the next 6 months. Are you ready to get a full load of Spring vibes?? Hello, my lovelies! Happy Monday! January is coming to an end and I am officially fed up with winter. I wouldn't mind if Spring decided to anticipate its start to, let's say, February? Honestly, would you mind? As every week, today is time for another Monday Shadow Challenge! 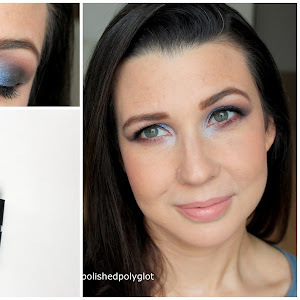 This week, I've created an unconsciously spring-y makeup in "dark green and aqua", I hope you like the look. It's time for a new manicure!! Today the girls of the "Nail Crazies Unite" challenge are doing "winter animals". I admit I'm still a little confused about the prompt, because what exactly are winter animals? I gave up thinking and went for cute deer, that I relate to winter as well. I hope you like it! Hello sweeties! Happy Friday! How are you today? I am going to try very hard -and totally unsuccessfully- to hide my excitement because I have been trying new skin care! Wiiii!! You know how excited I get when it's time for new skincare so that I completely lose control of my exclamation marks!!! The same as for a good piece of cake -or even a bad one. I also fail in hiding my enthusiasm for cake, you can actually easily read it on my face -and my saliva dripping on the corner of my mouth. But I digress, let's get back to the only motive of this post: There is a new luxury brand in the neighboorhood, she's Premier Dead Sea and I have been testing three products* from its Biox Ultra range that I will present you in my in-depth, fully informal but extremely honest review. Please, keep reading! It's been raining for the past 11 days. How annoying to be talking about the weather, right? Yes! I used to think that people who talked about the weather were definitely uninteresting and superficial. That was until I moved to Switzerland. I tell you, when your days, weeks, months, pass without a beam of sunlight at sight, you actually start counting and even praying for it. It can be depressing and it can easily become the centre of your wishes and conversations. That's pretty sad, when I think about it. But I'm actually suffering the lack of sunlight and dry weather enough to mentioning here! Hello, my lovelies! How was your weekend? Today I am reviewing two wonderful products I recently received from BeautyBigBang store*, a Matte topcoat* and a Holiday/Winter stamping plate*. Also, my manicure today combines two prompts from two different challenges: the Nail Crazies Unite Challenge, which prompted us to create a "golden snowflakes" manicure and the 26 Great Nail Art Ideas challenge, that invited us to do an "embellished/3D" nail art design. I really hope you like it!! I had to think that phrase twice, as it doesn't exactly feel like a Friday for me. Both my kids came down with the flu, which I must say is especially virulent this year in Switzerland. Is this true in your country as well? 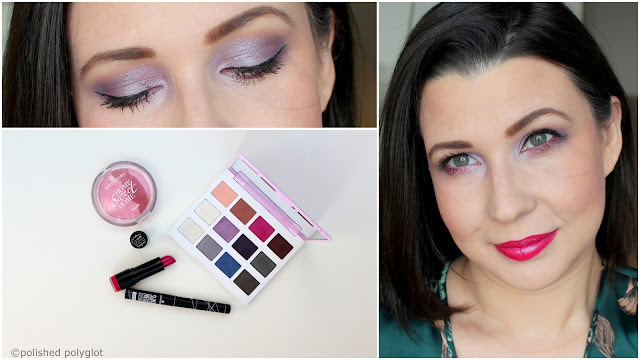 Today I'd like to share with you a new makeup look I created using my newest palette. 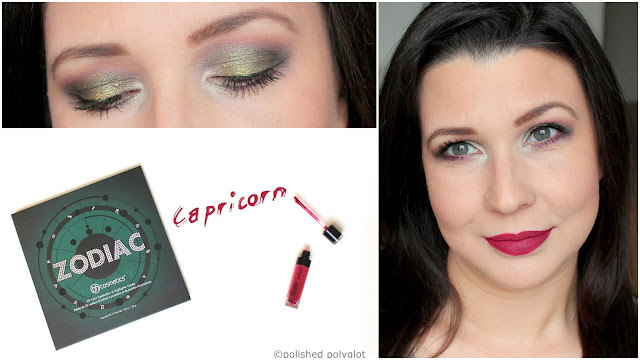 I REALLY wanted to challenge myself to create twelve makeup looks with this BHCosmetics Zodiac palette, one for each Zodiac sign, and today's makeup has been done using the "Capricorn" colours from the palette. Hello, sweeties! How are you today? I'm super excited because I have super good news for all the nail polish lovers! 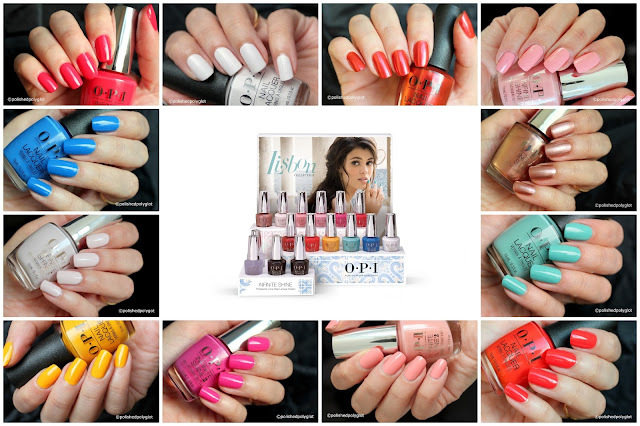 OPI will soon be launching the Lisbon Collection for Spring / Summer 2018 in Switzerland!! The colours are sooooo pretty! Take a look at this preview. It's been almost two weeks since I last published here, I took a break, half of it was wanted and half of it unwanted. As I told you, my hubby, and I took a weekend escapade to Brighton, where we first met 20 years ago, when we came back I intended to do a lot of improvements for our home, but then I caught a nasty flu, and I had a fever that lasted me for 5 days despite the medicines, which absolutely knocked me out. Now, it is my girl who has it, but luckily she seems to have caught a softer kind of virus, thank God. 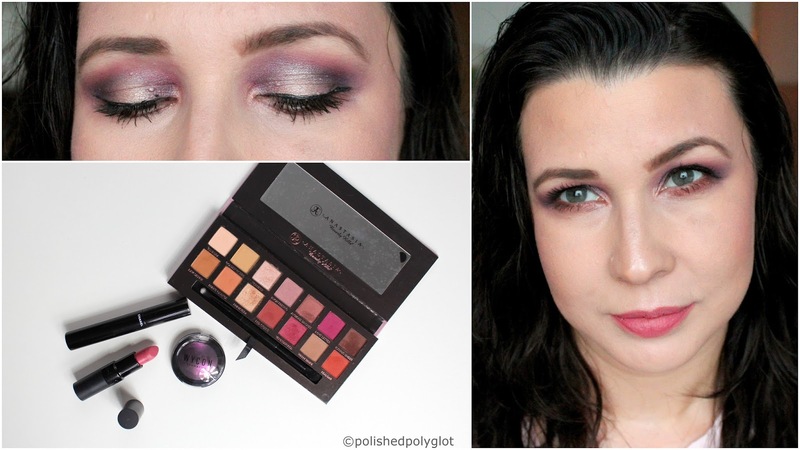 I ended up skipping last week's Monday Shadow Challenge because the colours didn't inspire me that much. This week, I'm "only" one day late posting my look, not that bad considering the background. Today's look is supposed to be romantic, but not too soft, I was thinking about something that would be suitable for a night out, like Valentine's day. 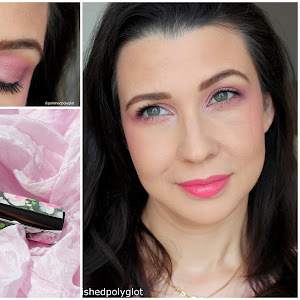 The colours used this week are "purple and fucsia", I hope you like the outcome. It sounds funny, but if you think about it, my "Empties" post series is consistent with my resolution of committing to consuming more responsibly. Use up the products that I bought before buying new ones, and evaluating what I'm using by reviewing it and deciding whether to repurchase or not! Happy New Year, my lovelies! I hope you all began this 2018 the best possible way, and that this year will bring you plenty of blessings. I am super happy because my hubby and I finally decided to leave next weekend on an escapade without the children. We had planned this long ago and then called it off for several reasons, but today we finally decided it could work out and booked the tickets. In fact, on 5th January it will be 20 years (20 YEARS!!!! :O ) that we first met in Brighton. We haven't been back to England together since then, so we thought it would be nice to go back for the 20th anniversary of our first date. At the same time, is the first time we are leaving the children, they've actually never slept out of the house before, this stresses me a little, but I suppose it will be all right. 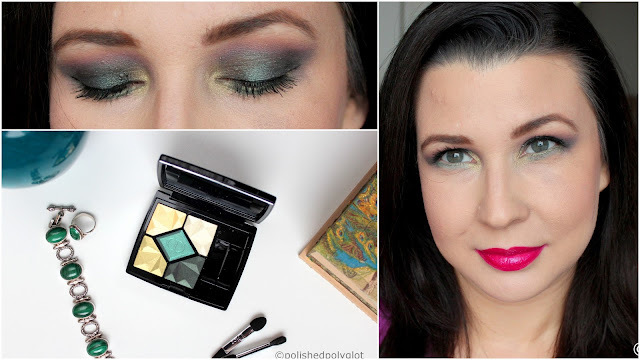 As you can see, I'm back to my regular schedule, and today is time for the "Monday Shadow Challenge"! The first of 2018, I'm not super happy with it, but you'll be the ones to judge! LOL. 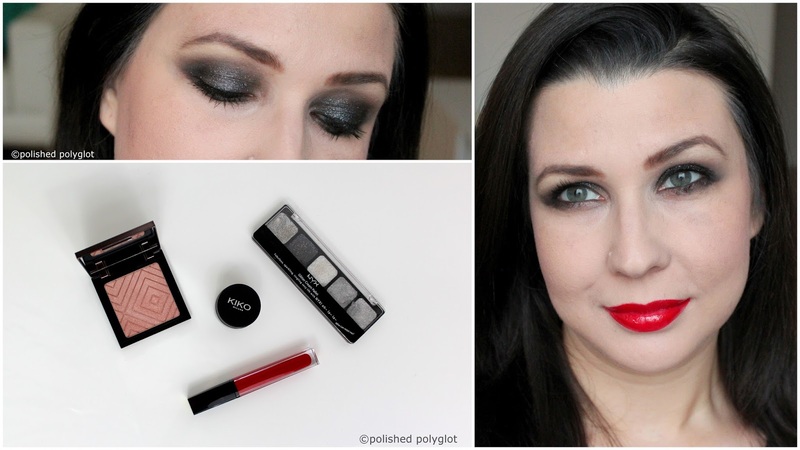 Today's look was supposed to be glamorous, using the colours "black glitter and red", but the final result is not quite what I had in mind. Well, you know, sometimes you win, sometimes... you don't.